Six artists were invited to turn their artistic gaze on themselves for the 2018 residency and exhibition at Space36 . The challenge for each artist was to reflect on their own self, be as objective as possible while inevitably being fully immersed in the subject of their investigation. "(the self is)...the closest subject at hand demanding scrutiny, a problem for art to solve- given the enormous obstacles to truthfulness, the artistic problem. (The artist)...is not simply looking in the mirror because..(they are)...transfixed by what (they) see. Rather, the artist's success depends as much as anything on (their) power of detachment, on denarcissising (themselves). That's where the excitement comes in. That hard conscious work that makes it art!" Philip Roth, My Life As a Man. The artist taking part were: Liz Brown, Liana Bortolozzo, Esperanza Gomez Carrera, Christina Lovey, Louise Scillitoe-Brown and Ahmed Farooqui. More on the artworks below. Liz Brown turns the camera on herself and focuses on the marks of ageing on her own body. 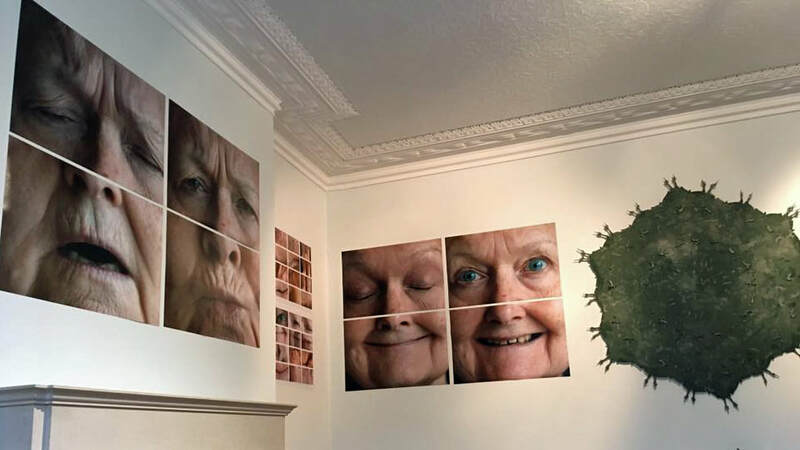 Her work forces the viewer to confront our culture’s aversion to looking at the ageing body and challenges us to engage with it to discover deeper meaning and connections. 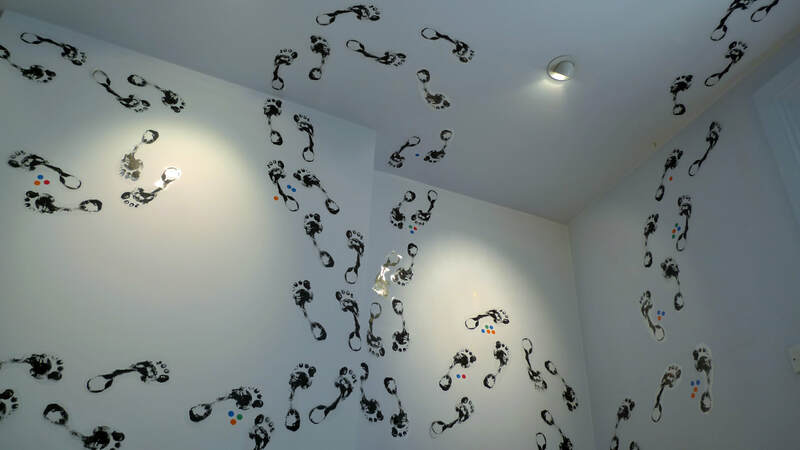 Esperanza creates a map of her life, signposting the people, places and events that have shaped its contours. 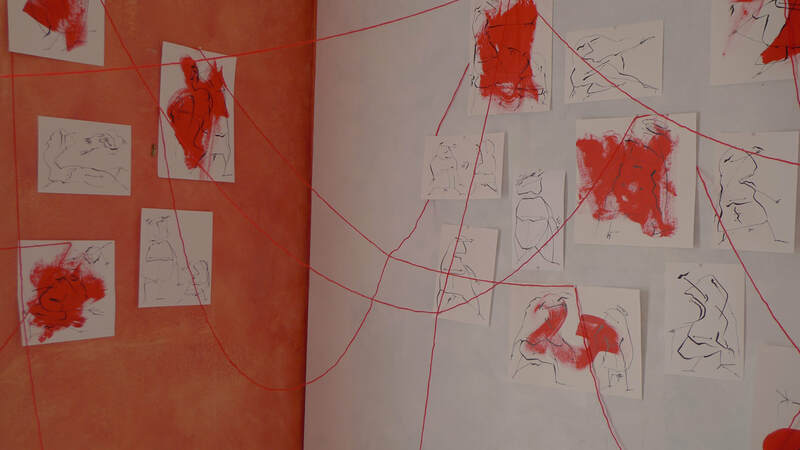 She invites the visitor to create their own map and in the process reflect on how much of their life was a result of planning, or unconscious impulse or simply serendipity. Liana’s immersive work invites you to Planet L, a private inner space populated by creatures that are friends and family, dead and alive, dreams not yet fulfilled and painful memories, hopes and fears. 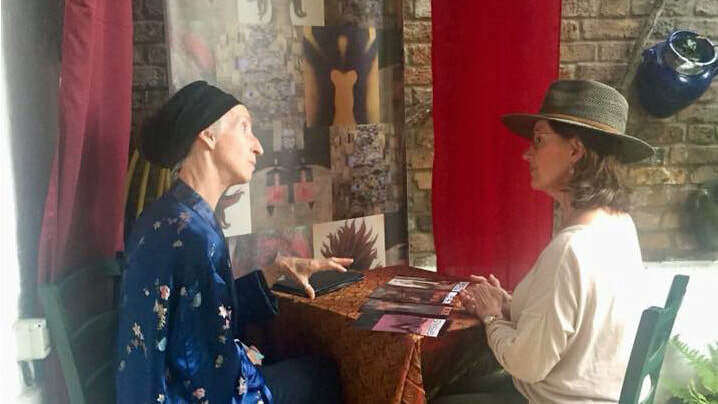 Christina uses images collected over a lifetime and displayed on her bedroom wall to create a deck from the Tarot to explore the self within, engaging visitors with stories about her complex love affair with art. The chance to be immersed in a passion can provide a much longed for opportunity, it can heal, it allows flight. 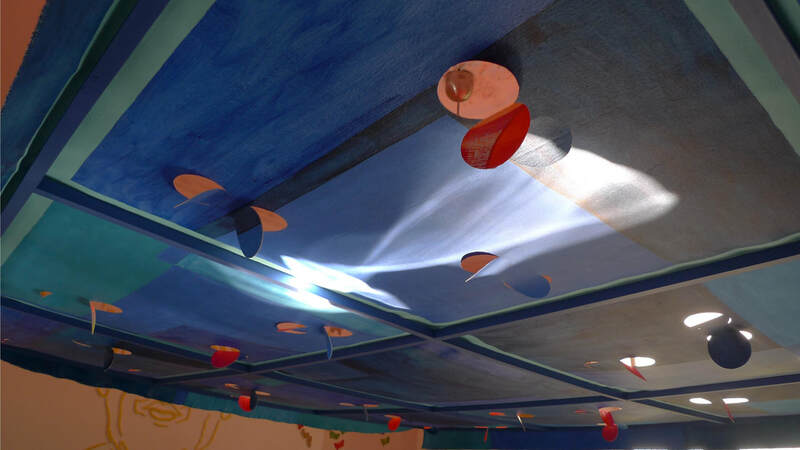 Louise's installations are grounded in her passion for the mysteries of colour and the way colour delights and beguiles our perceptions and emotions. 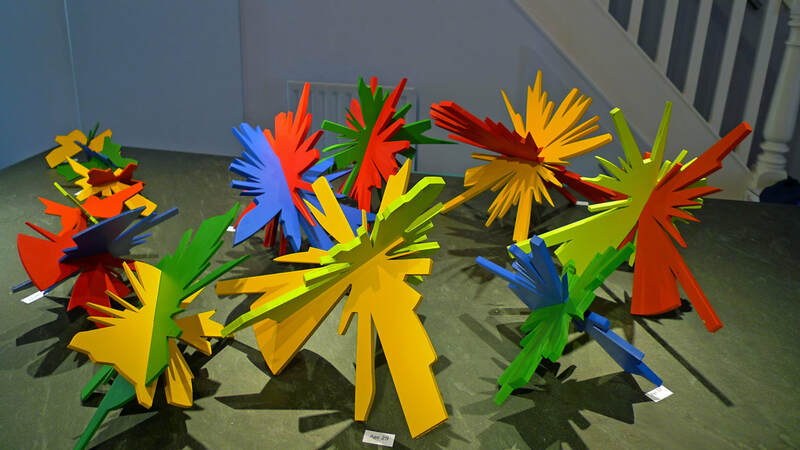 Ahmed’s two related works start from opposite poles: one uses numbers, a tool of science, to create sculptures that are mathematical interpretations of the relationships he formed over 40 years of his life; while the second work is the product of an intensive and secretive studio-based process.